Update 10/10: The CardMatch tool is back with the 100k bonus offer for the Amex Platinum card. This 100k offer has resurfaced five times in 2018, so while not uncommon, it is worth checking again if you weren’t targeted the last time as they seem to be targeting different rounds of customers over time. 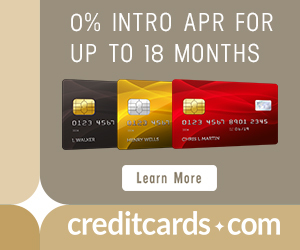 There is a targeted offer available through creditcards.com’s CardMatch Tool for 100,000 Membership Rewards for spending $5,000 on your new Platinum within three months of opening it. The current public offer is 60,000 Membership Rewards for spending $5,000 in three months, so this targeted offer is significantly better. I value Membership Rewards at 2 cents each, making it worth a whopping $800 more. 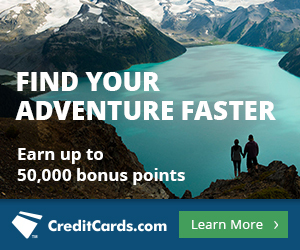 You can only get the bonus on an American Express card once per “lifetime”. Amex records seem to drop off for people around seven years, so in their terms a “lifetime” is about that long. However if you were targeted for an American Express offer, you can still be approved even if you have had the card before. Click here to navigate to the CardMatch tool. Fill in the information requested on the landing page, and click GET MATCHES at the bottom of the form. Don’t worry, the site specifically states that a hard credit score will not be performed (so your credit score will not be affected). I was not targeted but have friends and family that were the last time few times this offer was floating around. Some people’s 100k offer shows up right away on the landing page after clicking GET MATCHES, but some may need to click CARDMATCH SPECIAL OFFERS in the toolbar on the left side of the landing page in order to reveal the 100k Platinum offer. Note that not everyone will have the CARDMATCH SPECIAL OFFERS box to check, so if you don’t see it, doesn’t mean something’s wrong with yours. It just means you weren’t targeted. The Platinum Card from American Express comes with 60,000 Membership Rewards after spending $5,000 in the first three months. Membership Rewards transfer to around 20 hotel and airline programs including Delta, Singapore, Etihad, and British Airways. The card has a $550 annual fee. But it comes with huge benefits like airline fee reimbursement (which you can also use to buy airline gift cards), airport lounge access, hotel status, $200 in Uber credit, and a 5x category bonus for purchases directly from airlines. For more info on setting up and maximizing the benefits, see Get the Most Out of Your Platinum Card. The targeted 100k offer comes with the same benefits package. A $550 annual fee sounds scary, but it shouldn’t phase you if you travel often. You’ll get $200 in airline incidental fee credit (or if you don’t spend on incidentals, buy an airline gift card(s)), another $200 in airline incidental fees/gift cards in 2019, $200 in Uber credit per year doled out monthly, and access to American Express Centurion Lounges, which are the nicest domestic lounges, Priority Pass lounges, as well as International American Express lounges and Airspace lounges for a year for that price. Not to mention the 100,000 bonus Membership Rewards should be worth roughly $2,000 if you transfer them to partners for one or several high value awards. As I said above, you can only get the bonus on an American Express card once per lifetime, a “lifetime” being roughly seven years. However targeted offers are the one loophole to the Amex “Once in a Lifetime Rule”. That doesn’t mean you are guaranteed approval if you see this targeted offer through Cardmatch, it just means you still have a chance (a much higher one than if you applied for it publicly). There are a few other things to remember when considering your eligibility for Amex cards. Read Issuing Banks Rules for Approvals and New Bonuses to learn more. Check to see if you’re targeted for a 100,000 Membership Rewards bonus for the American Express Platinum Card. No hard credit pull is performed when using the CardMatch Tool. Even if you’ve already had the card, it’s possible to get approved for another if you’re targeted. Good luck! Post your application results in the comments. Might be nice but the CardMatch site never works. Neither my wife nor me are found, despite trying three former addresses as well as the current one. I emailed them for help. That’s too bad. I’ve come across two friends who have both been found/matched via CardMatch though. It does work, but of course YMMV. Same here, the CardMatch site never works for me or my wife. Shows a bunch of worthless cards and sometimes Chase but never AMEX cards. Very strange and my FICO score is over 740. I do not get that on the left of my landing page. Do I need to log in or something? Meant to say “Features” missing that SPECIAL OFFERS” option. I don’t get the CardMatch special offers drop-down either after I login. I think it just depends on the person. The article mentions twice that you can only get the bonus on an American Express card once per lifetime but then goes on to say that targeted offers are a loophole to that rule. So, if targeted, you can get the 100k bonus even if you received it before? Yes, it’s possible. Not guaranteed but possible. I never had any luck with cardmatch, but I was able to get Amex Platinum 75000 MR point offer after 5K spend in 3 months today by using VPN routing to Dallas from my current location (Florida). Thanks for alerting me to this targeted offer! I checked Cardmatch earlier today and found I was targeted, applied just now and got instant approval. A few DPs: I’ve never had this card, credit scores above 800 and at 4/24 prior to this approval on recent credit card applications which I know is more of a Chase thing than Amex thing. Not sure how much any of this came into play. I’ve purposely been slow-playing applications waiting for offers like this one to pop up. Thank you very much for sharing this, I have been patiently waiting an offer on the Amex 100K and have never received anything except for the Blue Cash Rewards. I was googling and your site came up with this article. At first I was skeptical about using the CardMatch tool worried about a HP and not even get the offer I’ve been waiting, but I decided to pull the trigger and BoooM!!! I just got approved with the 100K instantly! Only 26 with a score of 787! Thank you Ralph for your comment which indicated me that I still had a shot since you applied days ago! Awesome! And seriously, using the CardMatch tool does NOT trigger a hard credit pull. I would not lie about that, and neither would their terms. You will get two $200 credits in 2018, or should this say one in 2018 and one in 2019? Oops, forget my comment. I found your other article that explains. You’re right though…for complete clarity I updated that sentence to say 2019.